Katherine Holland brings more than thirty years of global leadership, expertise, industry insight and client experience to her current position as IBM’s General Manager, Global Life Sciences Industry. She leads the world wide strategy, solutions development, P&L and client satisfaction for clients in the biotech, pharmaceutical, medical diagnostic and medical device industries. Previously, Ms. Holland was IBM VP Americas Public Sector, responsible for Government, Education, Healthcare Payers, Healthcare Delivery and Life Sciences in Canada, the US and Latin America. She has held the roles of the IBM’s Global Managing Director for Procter & Gamble and Global Managing Director for AstraZeneca based in London, UK. 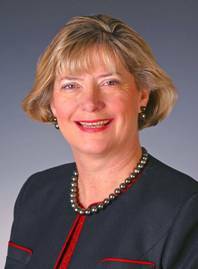 Prior to moving to London, Ms. Holland was Vice President and General Manager, IBM Asia Pacific, Communications Sector. She joined IBM in 1997 as Vice President, Strategy, Marketing and Business Development for IBM Global Services Asia Pacific, based in Tokyo, Japan. Before joining IBM, Ms. Holland was Senior Vice President, Business Services and served as COO for Exelon/PECO Energy a leading energy company. In this role, she was responsible for all corporate functions, shared services and business transformation initiatives. In addition, Ms. Holland served as an officer and member of the board for a number of new businesses and joint ventures launched under her leadership and helped guide the company through deregulation of the industry. Ms. Holland joined PECO in 1994 as Vice President of Information Systems, Chief Information Officer and head of Business Process Transformation. From 1981 to 1994, Ms. Holland held a number of management positions at SmithKline Beecham Corp, now GlaxoSmithKline, including business development, sales, information systems, finance and on special assignment to the Chairman and CEO for 18 months. Ms. Holland has been on the boards of several public and privately held companies as well as numerous community and non-profit boards. She and her husband, Michael, a retired professor of Finance, reside in Lake Tahoe and Las Vegas, Nevada. Their hobbies are golf, adventure travel, gourmet cooking and wine.